Release Date:03/01/2019;Notes:Vinyl LP pressing. A flashy band in the style of the '80s, John Diva and the Rockets of Love has been blessed with the talent of bringing a breath of fresh air to classic rock music. They are the rightful heirs of an era in which Van Halen, Aerosmith, Bon Jovi, Whitesnake, Scorpions, Guns N' Roses and Mötley Crüe roved around all over the planet and took apart anything they could get their hands on. John Diva is charged US entertainment at it's very best. Equipped visually and musically with all the key ingredients that this form of music entails, John Diva and his Rockets embody smooth riffs, racy guitar solos bordering on supersonic, anthem like choruses and graphic texts filled with the stories of life, not always completely G-rated. 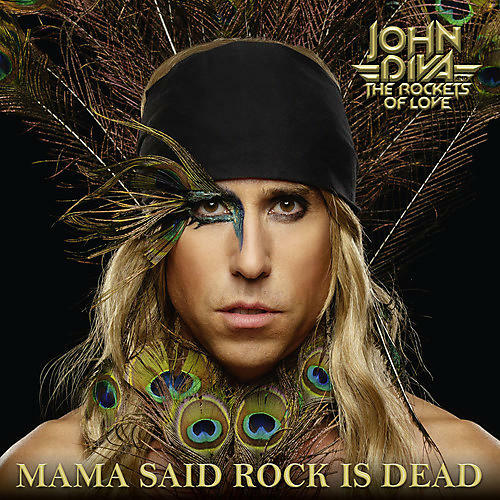 Their debut album, Mama Said Rock Is Dead, with tongue-in-cheek humor, tells stories from the life of Rock 'N' Roll James Bond John Diva in full sound. All twelve songs were produced by Michael Voss (Mad Max, Michael Schenker, Tony Carey et al) in the Gizmo 7 Studios in Malaga, Spain, the Principal Studios and the Kidroom Studio in Münster, with Chris von Rohr (Krokus, Gotthard) as creative supervisor.